The Blick Studio Tote is a heavy-duty canvas bag with lots of compartments and pockets to hold just about anything, small or large. 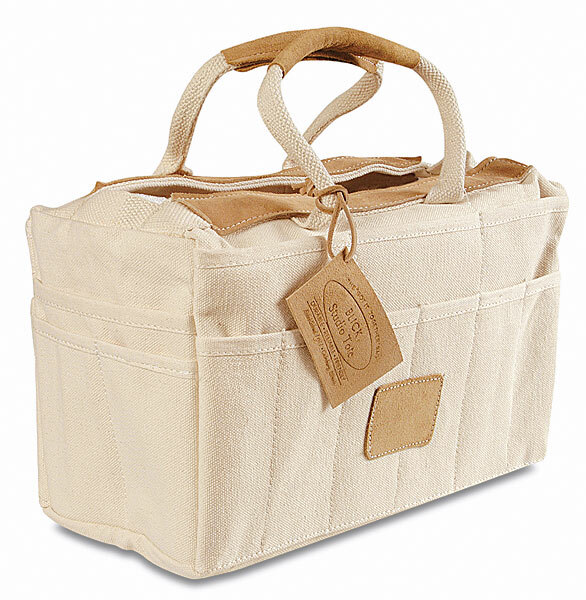 It is designed to remain fully open when set down, and has strong cotton handles and genuine brown suede accents. Gift Idea — With 8 large pockets and 16 small ones, it's just right for carrying art materials, or just about anything. A gift for somebody, maybe you!